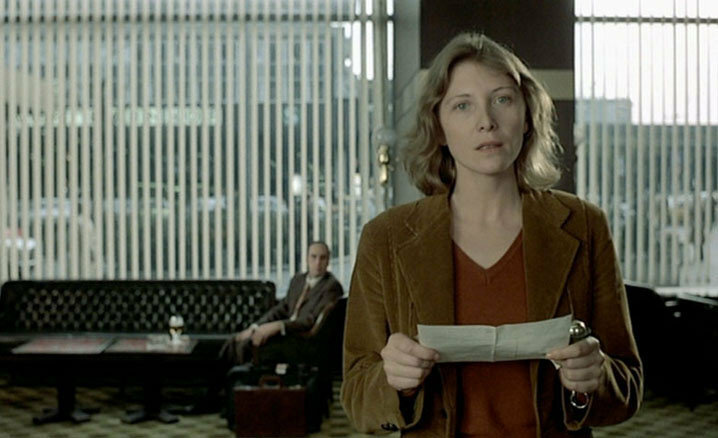 From the late Chantal Akerman is a film that explores isolation where a filmmaker is on the road traveling through Europe to promote a film. Starring Aurore Clement, it’s a film that is told in the span of 72 hours on a train from Cologne, Germany to Paris, France where she would meet various people during her journey as well as sleep with two men she would meet during her travels. Still, it is a film that is this intriguing character study in which a woman copes with her own detachment from everyone as well as the need to connect in strange surroundings. Agnes Varda’s 1985 film about the life of a drifter who is first found dead in a ditch during a cold winter in the South of France. 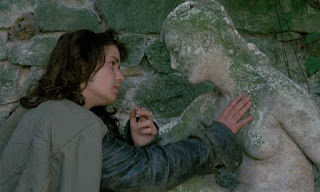 The film features an incredible performance from Sandrine Bonnaire as this hitchhiker trying to find anything she would encounter whether it is work, shelter, food, or companionship. It’s a film filled with some existential themes as well as a woman trying to find her role in the world as it is told in an unconventional style moving from something that feels like a documentary to something more traditional in a narrative as it’s one of Varda’s finest films. Though it’s the most conventional pick of the three films in the list, it is still one of the finest films of the 21st Century so far as it is about the search for Osama Bin Laden following the 9/11 attacks. 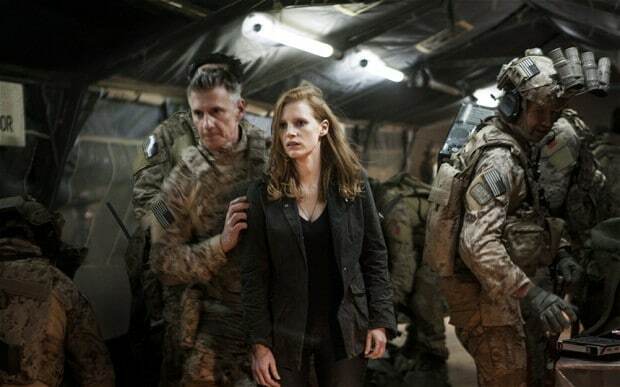 Starring Jessica Chastain as a CIA officer who is charged with finding Bin Laden and the eight-year search it would take to find him amidst the sense of loss, false leads, and other moments that would challenge anyone. Told with such style by Kathryn Bigelow, the film is intense as it follows Chastain who goes through so much to find the man that started the 9/11 attacks as well as clues that would lead to his death. Zero Dark Thirty is a great pick. Glad to see it get some love. Haven't even heard of your other two. I have seen Zero Dark Thirty but not the others. I thought Jessica Chastain was so good in that To be honest Vagabond looks more interesting than the one French one. I haven't seen any of these. I keep forgetting to get around to Zero Dark Thirty. Very interesting choices! I've never heard of your first pick but I've meant to see Vagabond for years and have just never gotten there. I have seen Zero Dark Thirty and while once was enough it was a well made involving film and Jessica Chastain was very strong in the lead. I headed back to the Golden Age when females with a strong female lead was a norm not an exception as it seems to be today. My first even has three strong women, a near impossibility today unfortunately! Three Secrets (1950)-When a private plane crashes in the remote California Mountains the only survivor is a 5-year-old boy. As word spreads that the child had been adopted at birth from a certain orphanage the three possible mothers, housewife Susan Chase (Eleanor Parker), newspaper reporter Phyllis Horn (Patricia Neal) and ex-con Ann Lawrence (Ruth Roman), gather at the mountain base to discover the truth drawing on their strength to endure the ordeal of wondering “Could that be my boy?” Solid drama with three excellent lead performances was directed by Robert Wise. Tammy and the Bachelor (1957)-Young Tambrey "Tammy" Tyree (Debbie Reynolds) lives with her grandfather (Walter Brennan) on his houseboat in the swamps of the South. One day young pilot Peter Brent (Leslie Nielsen) crashes nearby and during his recovery Tammy develops a crush on him. He heads back to his family’s mansion telling Grandpa if anything should happen to have Tammy come to his family. Shortly after Gramps is arrested for making corn liquor and Tammy heads to town. Once there she shakes the place up with her common sense approach to all things relying on her strong sense of self to ride out any bumps along the way. Meanwhile Pete sees her in a new light. Debbie carries this with a light touch and scored an enormous hit with the theme song. His Girl Friday (1940)-Ace reporter Hildy Johnson (Rosalind Russell) is sick of the cutthroat world of the newspaper game and tells her editor and ex-husband Walter Burns (Cary Grant) she’s quitting to get married to someone Walter considers a dolt (Ralph Bellamy). Walter tries every trick in the book to get Hildy to stay finally dangling a carrot he knows her aggressive take charge reporter’s heart can’t refuse-a murderer’s execution. Despite her protests the resourceful Hildy jumps into action and when the chance for a scoop comes along all else is pushed aside. Manic screwball comedy is noted for its extremely fast dialog patter between the leads. This set Roz on the path as THE boss lady of the movies for most of the decade. 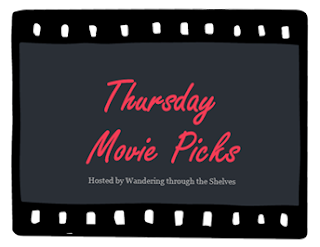 I’m also using this week to re-recommend two films I’ve chosen before but they fit right in and both are terrific somewhat obscure films that deserve a look. Cry “Havoc” (1943)-As WWII rages in the Philippines a group of women volunteer to help the army nurses in a hospital unit on Bataan. Set mostly in their protective bunker and the switchboard that brings increasingly more dire war news this focuses on the struggles and hardships endured by the women as the front moves ever closer. The cast is comprised almost exclusively of great actresses, Margaret Sullavan, Ann Sothern, Joan Blondell and Fay Bainter among them, with only very brief glimpses of men, including a young Robert Mitchum. A compelling heavy drama leavened by doses of gallows humor. Westward the Women (1951)-Unvarnished look at the hard road faced by a group of women settlers on a wagon train to California. Robert Taylor, weathered and hard is the rough but fair wagon master and has the only significant male role. Hope Emerson stands out as a plain speaking, no nonsense traveler but all the performances are very good. The cost of the trip is honestly depicted as heavy with human lives. Written by Frank Capra and directed with an unflinching eye by Wild Bill Wellman, an involving, unusual picture. Hell yes for including Zero Dark Thirty. I think that is Bigelow's masterpiece and contains, perhaps, Chastain's finest work yet. I wish she would've won the Oscar for it. I love strong female characters, I always look forward to a movie that has them. Ellen Ripley is my top choice. I haven’t seen any of these and mean to see Zero but I just never felt in the mood. I don’t even know the other 2 but your second pick sounds interesting. @Wendell-Vagabond and Les Rendez-vous d'Anna are kind of obscure but if you have Filmstruck. You'll find them as I wanted to put something different to this theme as it's a theme within a theme. @TheVern-Actually, both Vagabond Les Rendez-vous d'Anna are made by Belgian filmmakers. 2 of which are among the most important filmmakers in cinema. @joel65913-I'm interested in those Tammy movies as it's something I want to see as does His Girl Friday for historical purposes. @Alex Withrow-I agree. She should've won it instead of Jennifer Lawrence who has become insufferable. @vinnieh-You can't go wrong with Ripley. @Birgit-One of the reasons I like to do these lists is to give readers a chance to seek out films they've never heard of as there's a whole world out there that hasn't been explored.